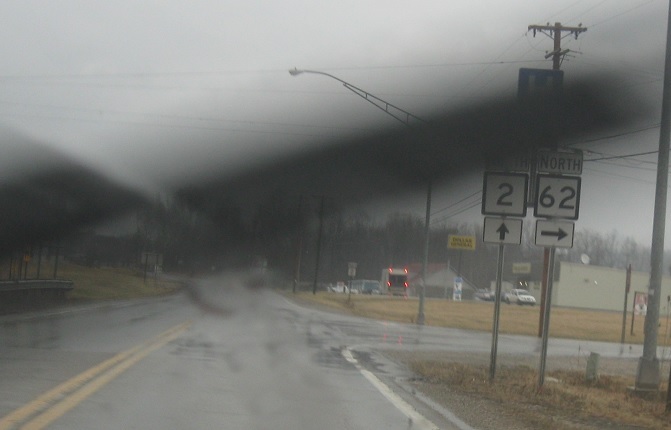 Reassurance shield as 62 joins WV 2. 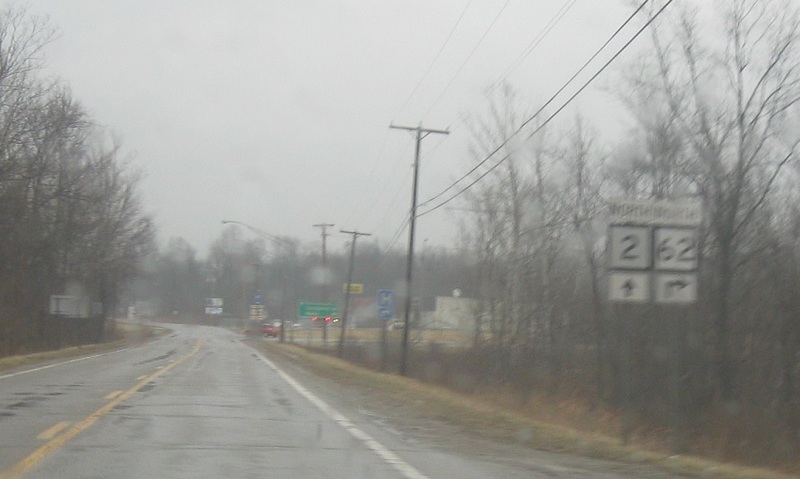 2 is usually the West Virginia equivelant to Ohio 7, running parallel to the Ohio River along the WV/OH line. About two miles later, 62 splits to head east. 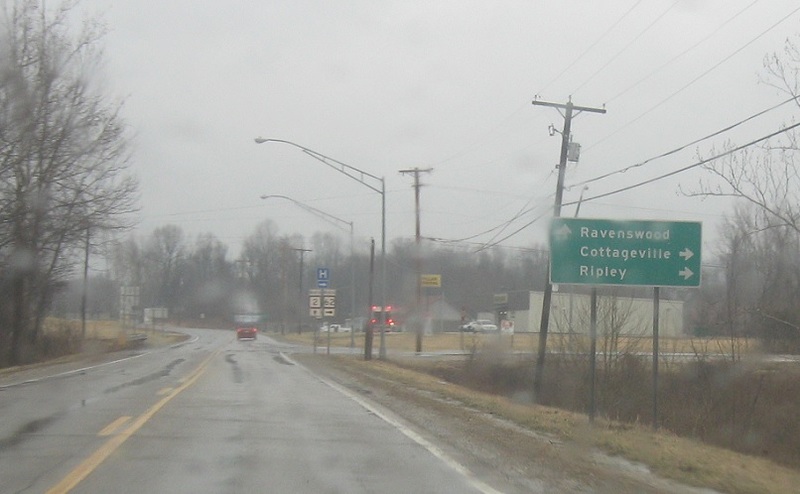 Follow 62 north (east) to Ripley and Cottageville. Stay on 2 for Ravenswood. 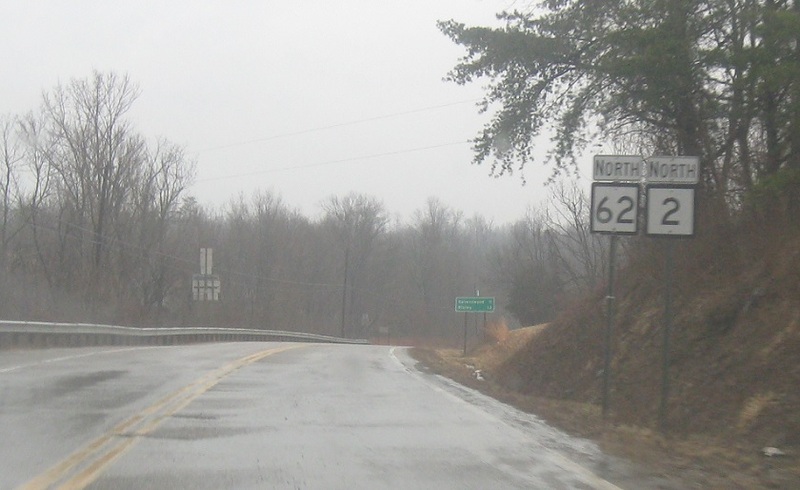 Turn right for 62 north.